﻿ Book Sandyport Beach Resort (Nassau) - 2019 PRICES FROM $301! Set around Old Towne Marina, Sandyport Beach Resort features a private beach area, 3 lagoon-style pools and a tennis court. Its attractive accommodations is housed in pastel-colored villas surrounded by palm trees. 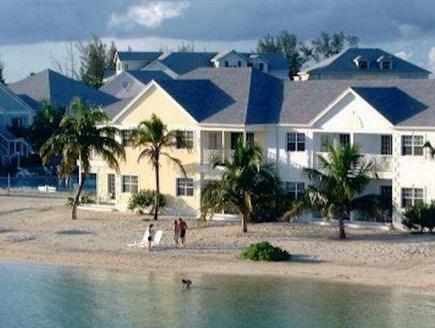 Sandyport Beach Resort and Village is an RCI Gold Crown resort located just west of the casino and night-life of Cable Beach. It offers suites, studios and rooms with attractive, Caribbean-style décor. There is flat-screen cable TV and air conditioning. Suites and studios also feature kitchen facilities. At Sandyport’s heart is the Olde Towne Marina Village with seven restaurants, gym, spa center and stores that are also open to the public on a setting reminiscent of a small Bahamian “St. Mark’s Square” on the Grand Canal. The Blue Sail Restaurant located beachside directly in the Resort area serves local cuisine, seafood dishes, stone-baked pizzas and cocktails. The resort is within 1.2 mi of Lake Cunningham and Cable Beach Golf Course, while Nassau town center is 15 minutes' drive away and Paradise Island is a 20-minute drive. Lynden Pindling International Airport is a 10-minute drive away. Please note that the cleaning service is not included in the rate. Use of electricity comes at an extra fee. Please inform Sandyport Beach Resort of your expected arrival time in advance. You can use the Special Requests box when booking, or contact the property directly using the contact details in your confirmation. Quite near the airport. Quite convenient. The room is just enough for two person. there were no amenities. the wake up call i requested never happened. had to haul my luggage in the dark to security booth to get the taxi that i ordered that didn't arrive. only made my flight because it departed late. this is a terrible hotel.